Thuy came to Children’s Health Council with over 10 years of experience working with children, youth, and families in various capacities. She has a passion to promote the integration of individual, family, and community healing. Before coming to CHC, Thuy was a Social Worker and Foster Family Agency Administrator working with minors who are Refugees, Asylees, Special Immigrant Juvenile Status (SIJS) recipients or Victims of Human Trafficking. She provided case management services, which included but not limited to, meeting the medical, educational, and mental health needs of her clients. 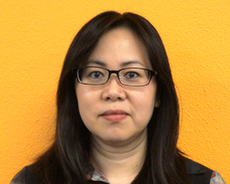 As a Licensed Clinical Social Worker, Thuy hopes to offer mental and behavioral health services to those facing unprecedented challenges with transitions or individuals coping with trauma, depression, ADHD, anxiety and/or learning differences.